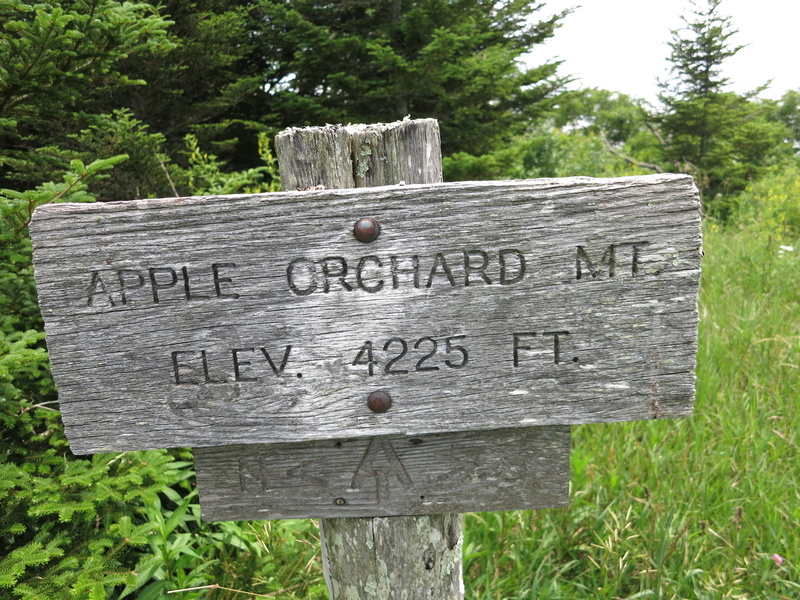 My brother and I hiked through part of the Thunder Ridge Wilderness, across Apple Orchard Mountain, and down to Apple Orchard Falls. 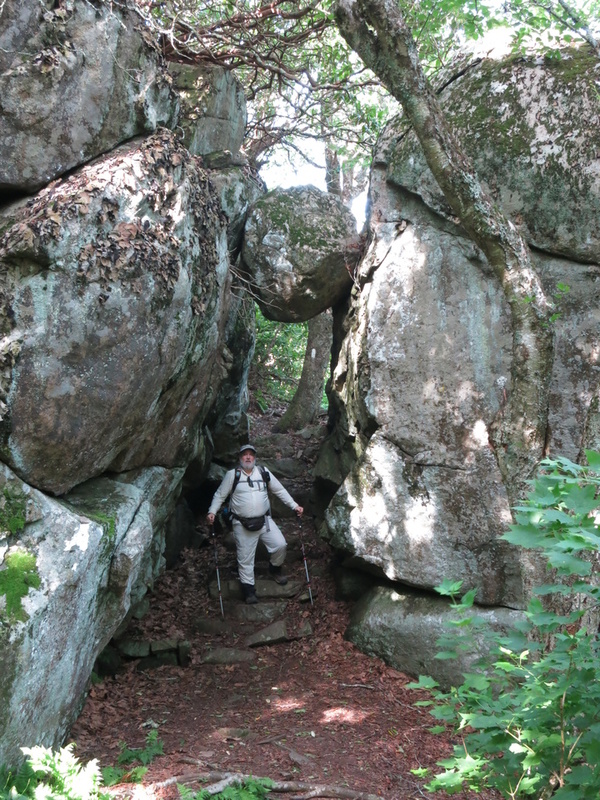 It was just under 8 miles for the round-trip, a bit more than half on the AT and the rest on the Apple Orchard Falls Trail. From the top of the mountain, it’s a 1700′ drop to the falls so it’s a pretty long climb out. Fortunately, the temperature didn’t hit the expected high of 97 but it was humid with no breeze except on the mountain top so it was still pretty unpleasant. Apple Orchard Mountain is the highest point in that area so there are some pretty good views from the top. 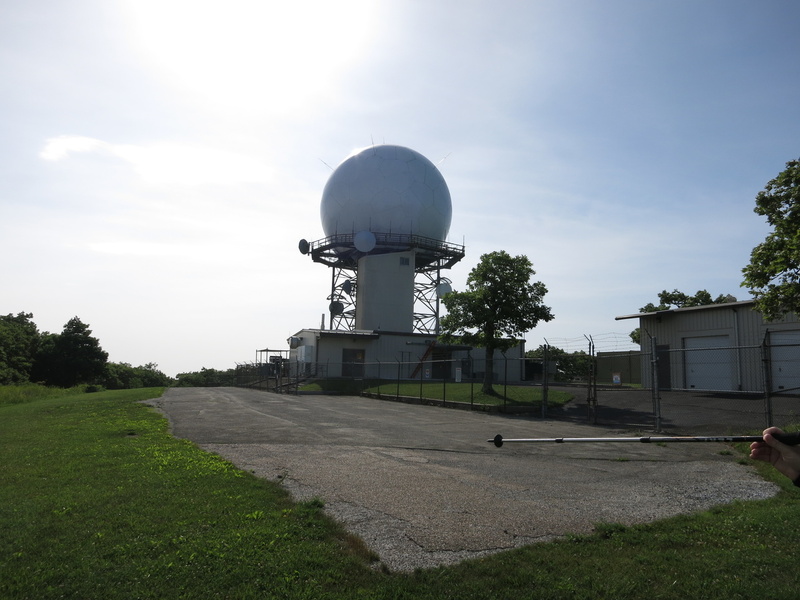 The apple orchard is long gone – replaced some time ago by a US Air Force radar station, and more recently by a FAA radar station. 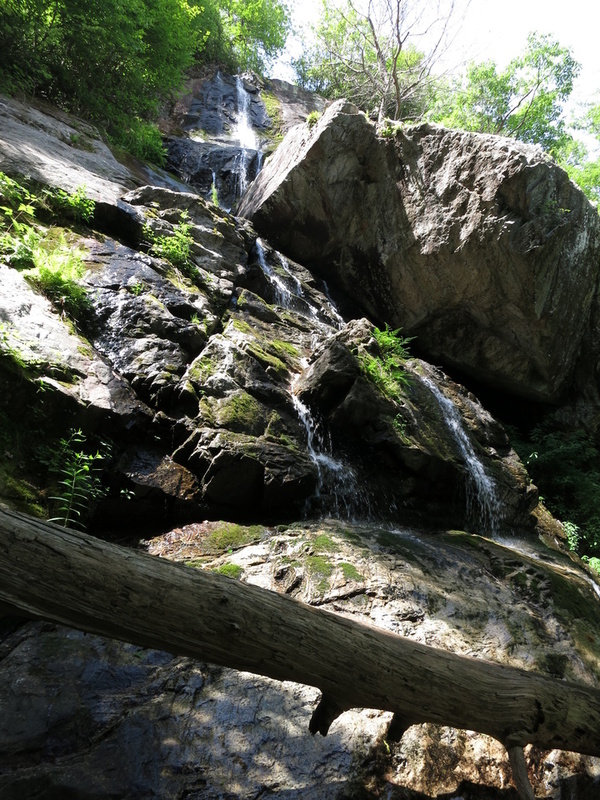 Apple Orchard Falls is a very popular destination for day-hikers, with relatively easy access from the Blue Ridge Parkway (there’s still a bit of a climb out). 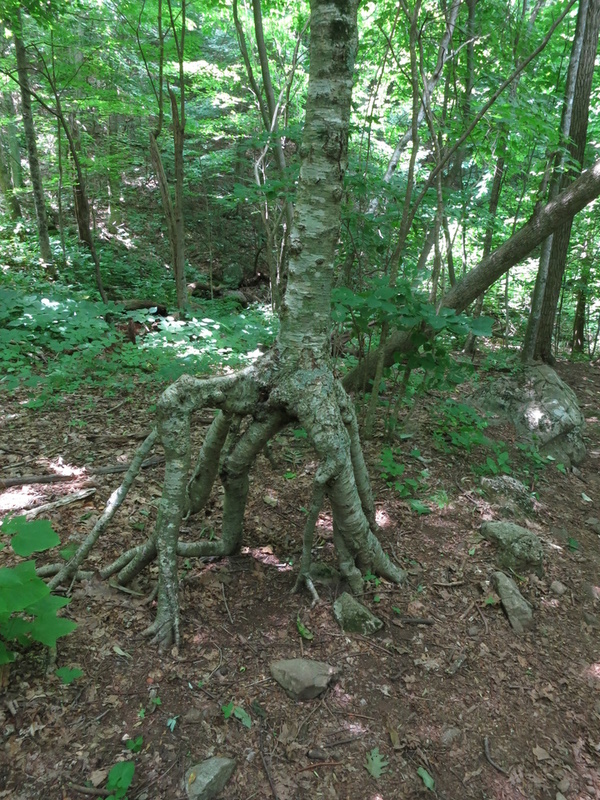 It’s reported to be about 200′ tall but it didn’t look that tall to me, and it is more of a cascade than a single drop. It was a nice area to rest and have a bit of lunch. With regards to the flora, I got pictures of several wildflowers I still haven’t identified but the big surprise were the rhododendron. 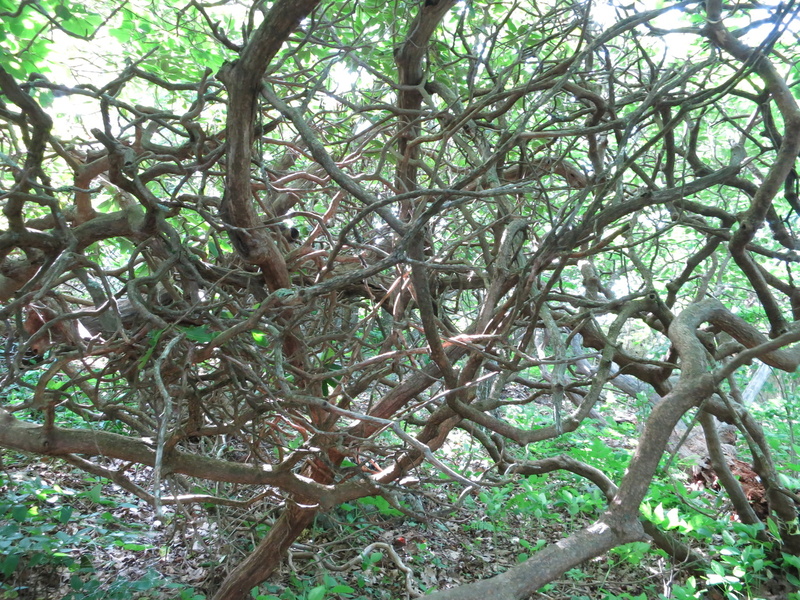 I’d never before seen them in the wild but they grow in rather tangled thickets and look like they could eventually crowd-out everything else. They had just recently finished their blooming period. It was nice to get on the trail and stretch my legs after that long drive, and it was actually my first hike since finishing the Ouachita Trail at the end of April (the 10 days of trail work I did in between don’t count). This was my second time on the AT and I’ve done about 5 miles of it so there’s only about 2175 miles left! 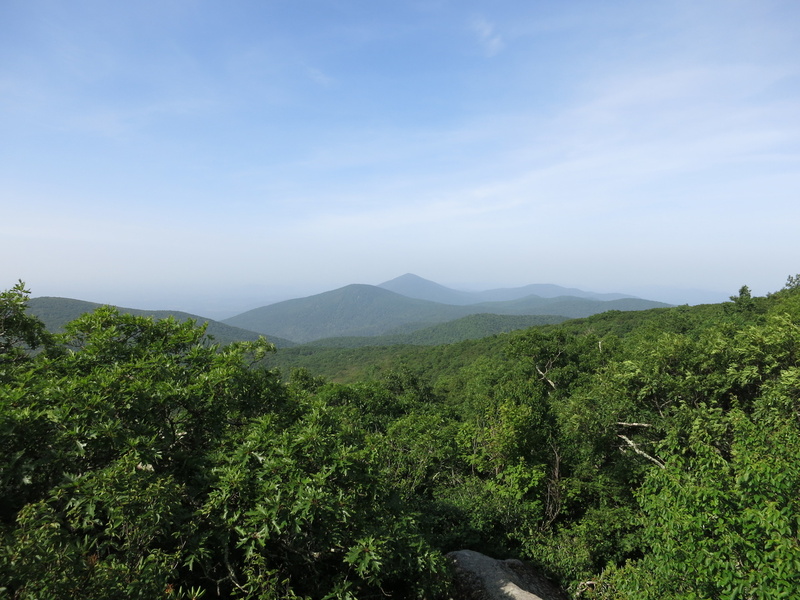 This entry was posted in Uncategorized and tagged Appalachian Trail, Hiking, Virginia. Bookmark the permalink.